Add matching iron themes throughout your home with Signature Iron Doors entry doors, garage doors, side doors, gates, and railing. Take a look at a recent install done out in Red Mountain East Mesa. 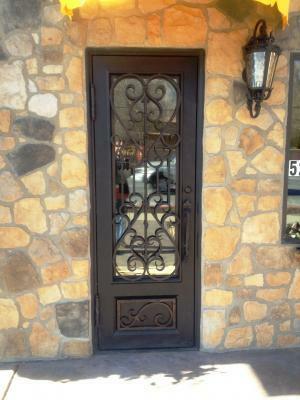 We build doors in all shapes and sizes for your valuable homes. We realize the impact your entry way has on your home and family and produce products visually pleasing as well as secure. Call us and come visit our showroom in Phoenix Arizona to meet with a sales representative and find the iron work you need for your home.